My fridge is remarkably devoid of any real hoppy beers at the moment. Some digging led me to this; Kaiju Metamorphosis IPA. It's the first beer launched under the new Kaiju name, from the guys who made Monster Mash before Monster energy drinks stepped in, and I'm expecting alot from it! 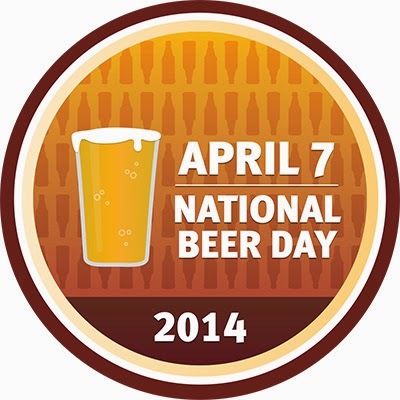 To get the National Beer Day (2014) badge simply check into any beer today, April 7th. If you're in Australia you don't have long at all left if you want to add this one to your collection so get drinking! I'm really really looking forward to this beer so enough about the badge, let's get onto the beer! 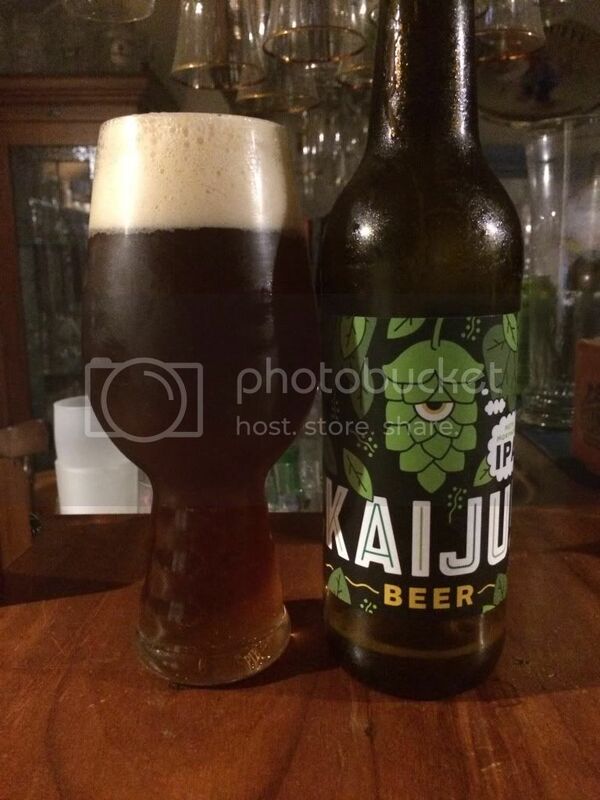 Kaiju Metamorphosis IPA has an unusual colour when it's poured. The pour is quite a deep brown, almost amber colour with a pink tinged head. The head has some bubbles shortly after pouring, but still retains good retention. By the end of drinking there is a thick rim of foam around the glass and a light smattering of foam across the surface of the beer. There is minor lacing left behind but nothing to write home about. On to the nose and initially it's a simple nose. Quite a heavy malt aroma which is followed by some hops with good bitterness. The hops are quite grassy on the nose, which seems odd for the style, and there is also a honey aroma which becomes more prominent as the beer warms. At no point did the flavour grab me and make me think this was a beer I wanted to drink again. It was by no means a bad beer, but by the same token it's not a great beer. It's certainly a drinkable IPA and one that I wouldn't turn down if I was offered it again, but I wouldn't buy it again. It's a bit of a nothing beer. Now I have quite a few beer reviews to catchup on, so I better move on. In short, if you're looking for a really well balanced IPA this isn't the one for you.